The third generation edition of Honda‘s popular CR-V was launched in India in the year 2011, and the car also got a facelift in the year 2014. 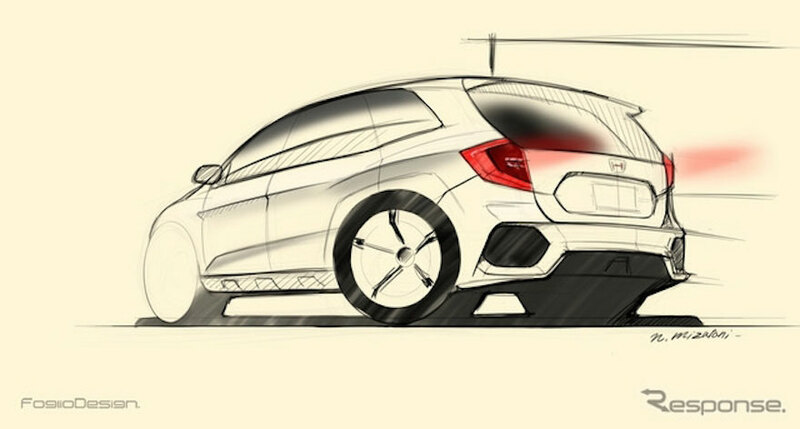 Honda now will be releasing the new-generation cross-over in 2017 and the company has already started testing the car. There are also reports that new-generation Honda CR-V will be getting a plug-in hybrid version. As you can see in the sketch of the new Honda CR-V, it is actually a fully redesigned model based on am entirely new platform. The design cues of Honda CR-V is inherited from new-generation Honda Civic. The design of new Honda CR-V crossover is going to be lot more sharper as well as aggressive. The previously seen Volvo-like tail lamps in Honda CR-V will be discontinued. The 5th generation Honda CR-V would be powered by 2 litre petrol engine that comes with the electric motor along with it as wll. The current 2.4 litre petrol engine present in Honda CR-V is going to be replaced by 1,6 litre turbo-charged petrol motor. You can also expect more turbo-charged engines in the future variants of the car. This new-generation Honda CR-V will be even having a stretched version too. The new Honda CR-V would also come with five as well as seven-seater options as well. The Japanese automaker would be also targeting other crossover which are doing well in the market like Nissan X-Trail and the new Hyundai Santa Fe which is doing well in North American market.